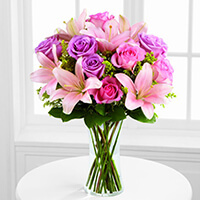 Provide comfort for the family of Elaine Capobianco with a meaningful gesture of sympathy. Elaine Capobianco, (nee: Bruno), 78, of Roselle Park, passed away peacefully on Monday, February 7, 2019 at home. Funeral is from the Mastapeter Funeral Home, 400 Faitoute Ave., Roselle Park, on Tuesday, February 12, 2019 at 8:45am. A Funeral Mass will follow to Church of the Assumption in Roselle Park at 10am. Interment will follow to St. Teresa’s Cemetery in Summit. Visitation is 4 to 8pm on Monday. Born in Newark, Elaine moved to Roselle Park in 1972. She worked for the Teamsters Local Union 863 in Mountainside as a benefits coordinator. Elaine is survived by her beloved husband of 59 years, Joseph G. Capobianco, three loving children Kenneth J. Capobianco and his wife Michele, Joseph M. Capobianco and his wife Catherine, and Danielle Capobianco, a dear sister Evelyn Minotti, and two adored grandchildren Joseph and Kayla. In lieu of flowers please make donation in Elaine’s memory to St. Jude Children’s Research Hospital, 501 St. Jude Place, Memphis, TN, 38105-9959, (stjude.org/memorial). Our deepest sympathy for the loss of our beautiful Aunt Elaine. You are in our thoughts and prayers. Lena, Chris, Ernie, Michele,Mark, MaryAnn, Anthony purchased the The FTD Farewell Too Soon Bouquet for the family of Elaine Capobianco.